We are in the home stretch as the extraordinary Super Blood Moon Lunar Eclipse at 0°Leo arrives this weekend, January 20-21, depending on time zone. Eclipses can feel challenging but also exhilarating as we pass another Ascension threshold into higher realms. There is an element of ‘fate’ in this Leo Eclipse, as you open the gateway to actualizing your soul destiny. Leo inspires personal authority and self-empowerment. This Supermoon Leo Eclipse is very potent and encouraging everyone to embrace their Soul Presence within. The Eclipse forms a challenging square with Uranus that will initiate unexpected change, increasing electrical sparks in the ether. The Lunar Eclipse square Uranus will send a shock wave thru the collective, shaking apart old, dysfunctional systems and authoritarian power structures and leadership. We are witnessing a wave of karmic reckoning and transmutation of past abuses of power. We are already seeing signs of this stressful reckoning in US/UK governments. Others less grounded or balanced may lash out with impulsive behavior. You may feel a surge of rebellion swell within you…try to focus the powerful energy into breaking down limiting barriers that slow down your progress. On the positive side, this eclipse can shake loose old distortion filters and viewpoints that blinded your access to universal abundance. Eclipses peel away delusional beliefs. These distortion blinders and ego-blocks are being purged with the incoming diamond plasma galactic light surge. Eclipses are famous for sudden breakthroughs and timeline shifts. As you focus on your goals and visions of a more expanded, fulfilling life, point the powerful eclipse surge into any pattern, program, blockage or code sequence you don’t want to continue. You are cleaning away the dross of lifetimes so it doesn’t come with you in the New Year. With all planets in ‘GO’ position, new intentions can now gain traction and materialize. This is a potent time to clear the deck and amplify your heart magnetism to draw in what you are passionate about. The Leo Eclipse rules the heart and will expand your capacity to fill with LOVE vibration if you so desire. What you focus on during this weekend’s cosmic event will surge with Light frequency. Charge up your Light Body! 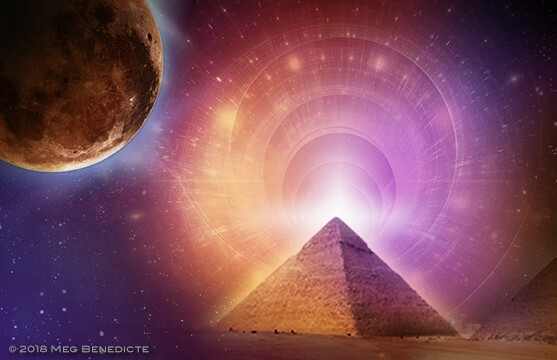 In Sunday’s Eclipse Global webcast we will work with the powerful energies and do some clearing and magnetizing of both personal transformation and global birthing of the New Earth. Take advantage of the powerful galactic Light infusion saturating you in alchemical luminescence. Join other Earth Keepers and Star Beings from all around the world, as we ascend higher into Soul embodiment. We will join together Sunday, January 20th at 12pm Pacific Time and travel to the Eclipse Stargate at the Galactic Center to seed and anchor a new earthly paradigm. Dear Meg: Amazing = just an amazing article!! Thank You So Much!!! Earlier this day, I listened, to Sheldan Nidle’s PAO Webinar (with Colleen & Miles) & Jared Rand as the Guest. Between that awesome Webinar, & now this beautiful post, I feel like weeping in thankfulness, for so many wonderful up-building, spiritual, loving, websites.